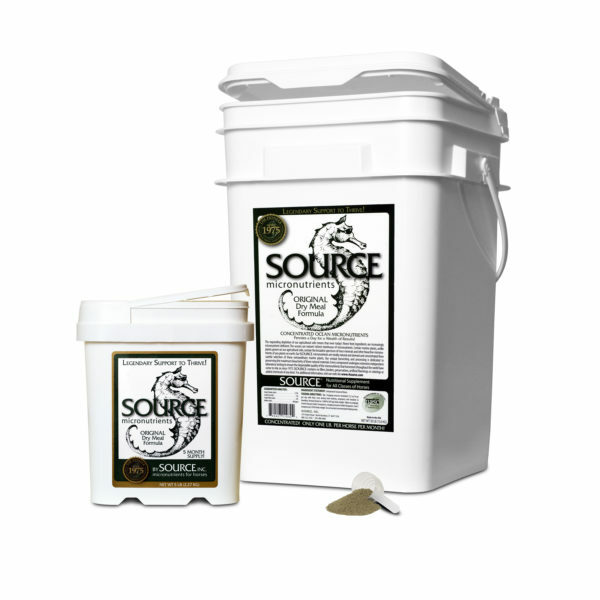 For over 30 years, we’ve sustainably harvested and painstakingly blended only select varieties of cold water seaweeds for SOURCE. 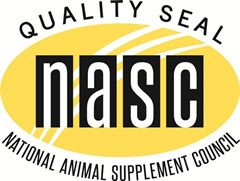 And every day, horse owners and trainers from around the country report the glowing results from all our “fussiness”: shinier coats, stronger, more flexible hooves and increased stamina. 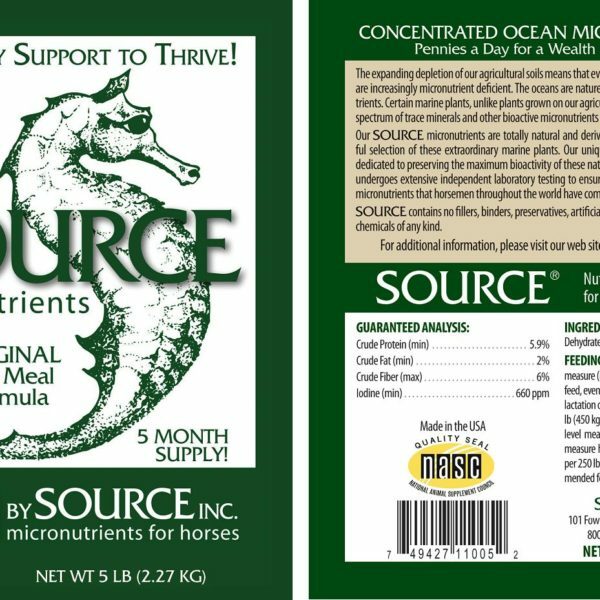 Many thousands of horsemen have provided adequate levels of all of the above in a sound nutritional program, yet still been baffled by horses who express signs of subclinical and clinical disorders to which they can attribute no known nutritional or disease origin. 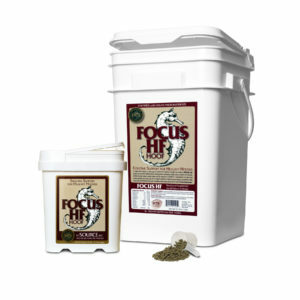 These would include the many problems associated with hoof growth, weight, coat, stamina, conception, attitude and general “bloom”. Increasing the amounts of the above does not result in improvement and indeed may compound the problems. 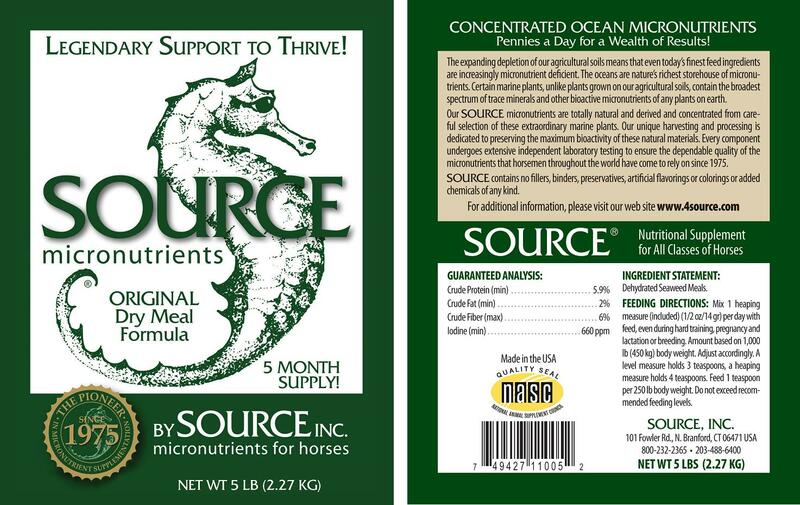 Thousands of these same horsemen have added SOURCE, the broad spectrum micronutrient supplement, to their horse’s diets and experienced dramatic improvement. 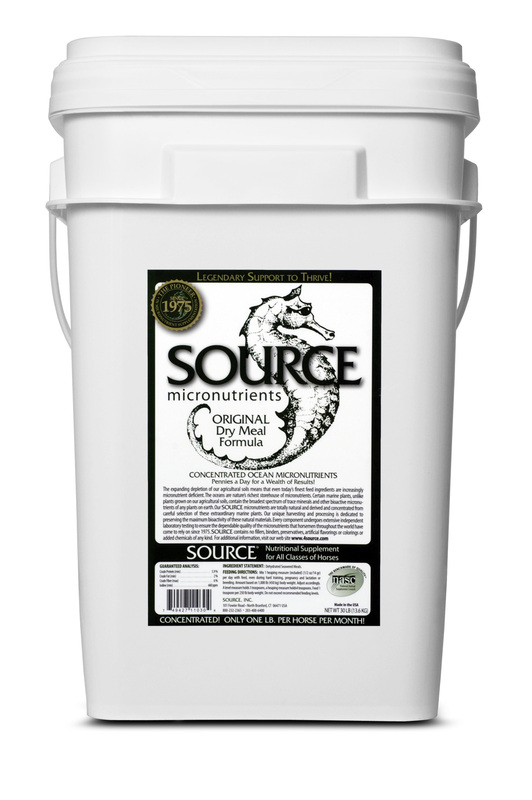 SOURCE contains an extremely broad spectrum of at least 60 elements and their associated micronutrient compounds in a biologically active form. 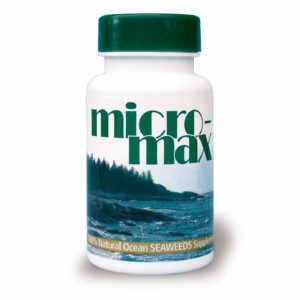 SOURCE contains small amounts of naturally occurring vitamins (14), the 14 currently recognized “essential trace elements”, the 21 trace elements now under special consideration with respect to essentiality, plus other unidentified associative factors whose role in nutrition has not yet been established. (1/2 oz. 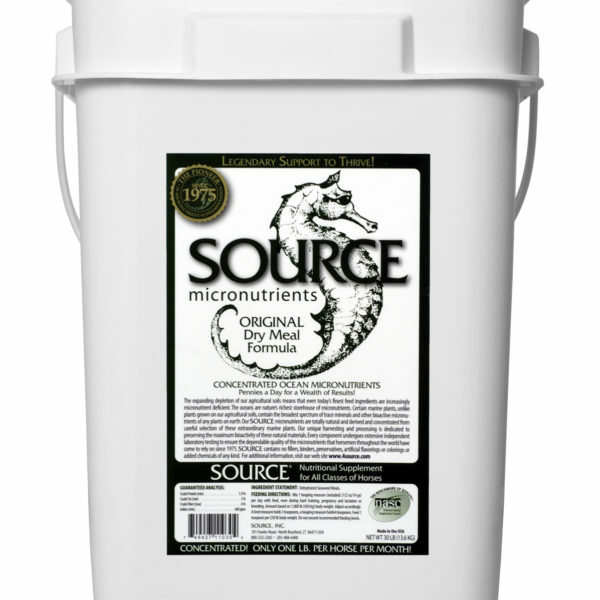 daily) – use the measuring scoop included in the container. Feed SOURCE Original everyday, including race and competition days for all classes and ages of horses. * average 15.2 hh horse = 1,000 lbs. The only nutrient in SOURCE that needs evaluation when formulating a feed ration is iodine. (The levels of each of the other minerals and trace elements is so low that it will not imbalance any feed ration design).SOURCE is a rich source of natural organic iodine. It is particularly useful for those who are seeking to increase iodine levels in a potentially deficient ration. But caution, even a good thing can be overdone. 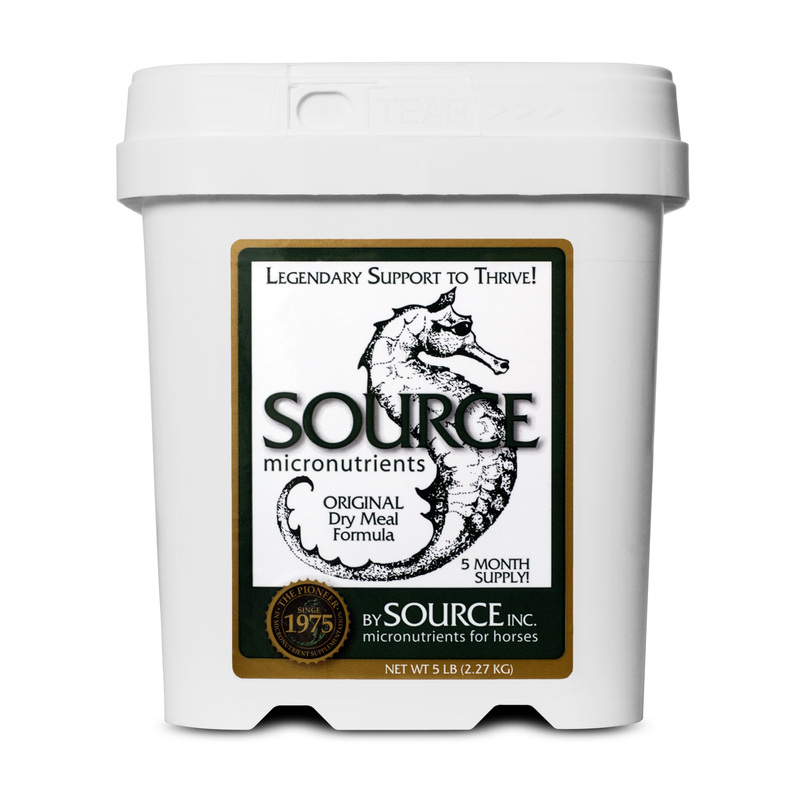 SOURCE should not be fed at higher than recommended dosage levels, and if you are supplementing with a number of different products, it would be wise to review iodine levels to assure you are not overdoing it. 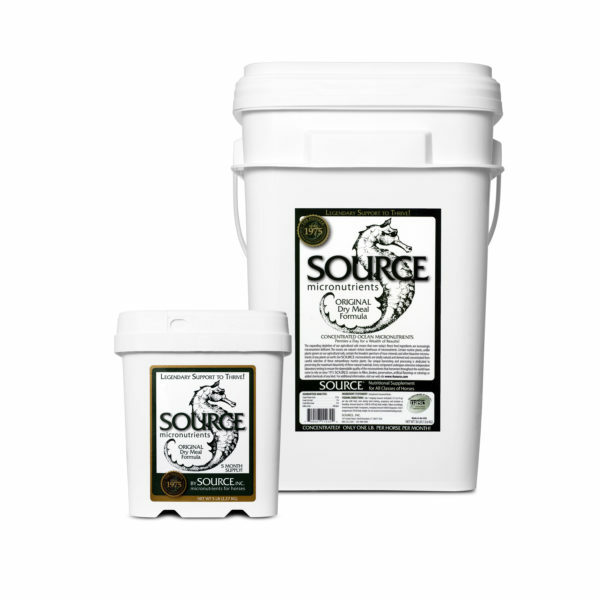 A daily serving of SOURCE Original powder contains 9 mg. of naturally occurring organic iodine.